One of the most important things any real estate investor needs to know when he buys a property is what he plans to do with the property or his “exit strategy”. As the saying goes, “You make your money the day you buy the property”. In most cases, it will be very difficult for any investor to make money on any property if he pays too much for it initially. Whether you plan to wholesale the property, rehab it and then sell it or do a little fix up and keep it for a rental, you need to know your exit strategy right from the start. 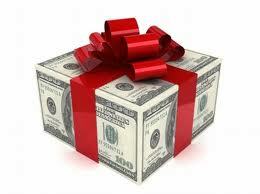 You will also need different amounts of cash on hand for the different strategies. Here are some tips for choosing your exit strategy. How Much Money Do I Need To Close A Deal? How much money you will need will depend on your exit strategy as a property investor. It is always wise to have at least two exit strategies for the property to fall back on. The “exit strategy” is what you plan to do with the property after you have purchased it. Some are short term strategies, and others are long term strategies. Buy, renovate and sell (short term). Keep the property for a rental (long term). Flip or wholesale the property to another investor (short term). As a property investor, having more than one exit strategy gives you options. For instance, your plan may be to buy, renovate and sell the property. But if you cannot sell the house when it is finished, you could hold onto it and keep it as a rental until the market improved. Taking the exit strategy one step further; it makes a difference in your renovation whether you plan to sell the house to a landlord or to a retail buyer (a home owner). Typically a property investor wouldn’t put in granite counter tops and expensive upgraded cabinets in a rental home. Knowing your exit strategies is crucial when making an offer on a home. If you have bought the house at the right price you will always have options available should one exit strategy not work out the way you planned. This is definitely the strategy where you will need less cash. I almost never give the seller (the homeowner) anything down on a house. If they insist, I make a check out for $100.00 to the closing attorney I will be using to hold in escrow. Never, never, never give any money to a seller! It is money you will never see again. I will usually do simultaneous closings. While this is not allowed in some states, it is a common practice where I live and work and most of the property investors make use of this practice. The first transaction where you buy the house from the seller is called the A to B transaction. The second transaction is where you sell the house to your buyer, and this is called the B to C transaction. In a simultaneous closing, the B to C transaction funds the A to B closing. It’s a great feeling as a property investor to go to a closing with no cash in your pocket and come home with a big check. That is why I love wholesaling so much. Wholesaling is a strategy that all property investors need to lean whether you are flipping properties or are using buy and hold strategies. Wholesaling allows a property investor to make big chunks of cash that he may then use to invest in his rental property. If you are buying a house from a bank they will almost always require you to give them an earnest money deposit. Typically they will want about $1000.00. There are however, some banks that require you to put down a percentage of the purchase price. In most cases, a property investor will not be able to do a simultaneous closing when purchasing a REO property. You will have to actually close on the property before you can re-sell it especially if it is an FHA loan. However, there are some exceptions to this rule. In my area we have some local banks that are investor friendly. If the loan is being held “in house” they will actually fund these types of deals between two property investors and allow double closings or simultaneous closings. If you are planning to keep the house for a rental, you can expect to put a percentage of the sale price down. Just how much will be determined by the market at the time you buy and your mortgage company. In today’s market, it is not unusual for the lender to want 20% down. Another thing to consider when making your offer is the interest rate you will be paying. Even with a good credit score, property investors are charged a higher rate of interest than homeowners so you need to figure this in when making your offer. All of these costs will end up in your monthly mortgage payment. If you are planning to renovate the property and then sell it, you will most likely want to contact an investor friendly bank (probably a local bank) for help with structuring this type of loan. They typically have loans that property investors can get for up to one year when doing rehabs. The nice thing about these types of loans is that after making your down payment, usually you will not need to make monthly payments. Interest will continue to accrue but you can finish the property, get it sold and then repay the loan in full. If the project takes more than a year, you will have to convert this construction loan to a regular 20-25 year type of financing. A word to the wise, get that renovation done in a timely manner! When selling your property to a retail buyer or a “homeowner”, you will always want to get a down payment. $500.00 -$1000.00 is typical for my area. When selling your house, be prepared that this strategy that will take longer than some of the other ones such as wholesaling. When a property investor sells his renovated property to a homeowner they will most likely be getting a mortgage. In most cases, you will have a wait of several months to get everything lined up and to get the house to closing. What’s the upside to selling to a retail buyer? You will almost always make more money than when selling to another property investor. Here is what I do with a pretty house with no equity or little equity. I show the seller the costs to sell with an agent, about 10% of value, with commissions, closing costs and sellers concessions. Then show them they can net more money with a lease option assignment or wrap or sub2. My exit is selling on lease option with 3% to 5% down option fee. I know a 60K house is not alot of money but a $500K can create $15K or more. There are 20 million low equity pretty houses out there. Those are great options Brian. Would you be interested in doing a guest post in January? Do you ever do lease option assignments, sub2, sandwich lease options, wraps, or installment sales? Exit is a lease 2 own? I appreciate all your great REI content! Hey Brian – Thanks for reading. I have done lease options in the past but for the past few years, I have only been wholesaling. Why do you ask?